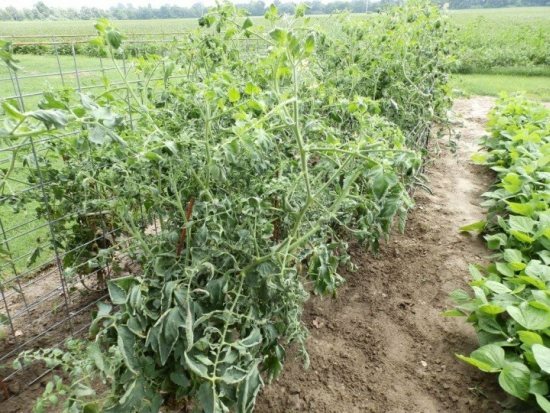 Scientists with the Weed Science Society of America (WSSA) say special precautions are necessary when using auxin herbicides, which are known to drift and to cause harm to sensitive, off-target broadleaf plants. A recent article in the journal Weed Technology shows there is much to be learned. When the authors surveyed more than 2,300 commercial and noncommercial applicators to determine what they knew about the new synthetic auxins, less than half were familiar with volatility and temperature inversions that can influence off-target movement. Many ornamental, vegetable and tree species are extremely sensitive to even the lowest doses of the auxins. A mere “whiff” can cause damage (i.e. 1/30,000th of the labeled rate). To avoid resistance issues, the auxin herbicides should be part of a well-integrated residual and post-emergence weed management program. Scout before and after treatments to ensure they occur at the proper time and to detect and mitigate suspected resistance before weed seed matures. Recent research shows resistance to the auxins can develop in just three plant generations. There are strict label limits on wind speeds and weather conditions at the time of application to reduce the danger of auxin herbicide spray droplet drift and vapor drift. Most people are familiar with spray droplet drift, but vapor drift is the movement of a pesticide in the form of a gas or vapor during or after application. During periods of high temperature and low humidity, vapor drift of auxin herbicides can occur up to three days after application. Application should be avoided during temperature inversions, which are typically characterized by clear, cloud-free evenings with calm air, followed by dew or low-lying fog that forms in the morning. When vapor containing the herbicide active ingredient becomes suspended in the stable air mass, it can drift miles away from the intended target. To reduce off-site auxin herbicide spray drift and vapor drift, use only approved nozzles that limit the number of fine droplets. Clean your entire sprayer properly to avoid contamination when switching between herbicides and crops. It is important to maintain the label-recommended distances when spraying near sensitive downwind plants. The fact sheet “Managing 2,4-D and Dicamba in Enlist™ and Xtend® Soybean” is available for free download. Kevin Bradley’s presentation at the North Central Weed Science Society titled “A Season to Remember: Our Experiences with Off-Target Movement of Dicamba in 2016” is also available online. Researchers at Texas A&M are screening various spinach varieties to identify those with both improved nitrogen-use efficiency and disease resistance, as a first step toward developing cultivars adapted to production in Texas.